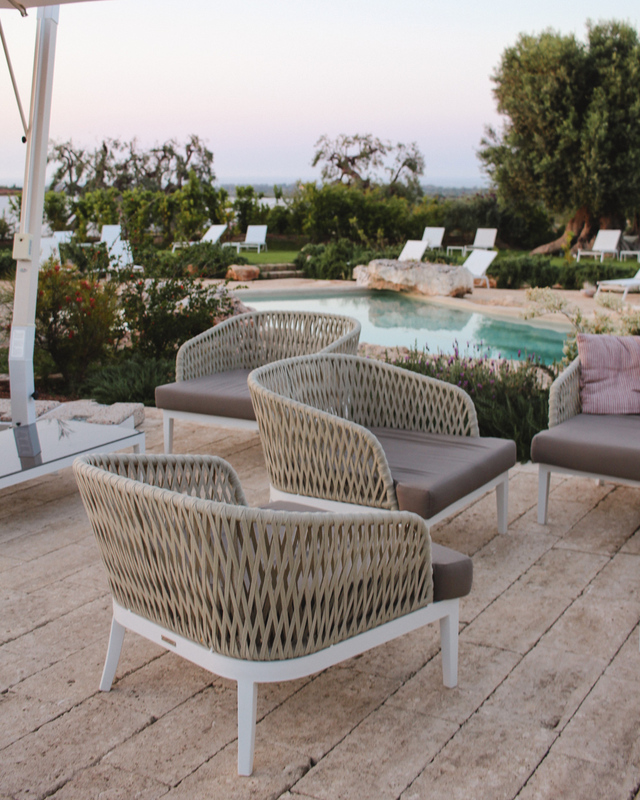 If you’re visiting Italy and wondering where to stay in Puglia, look no further than Masseria San Francesco. 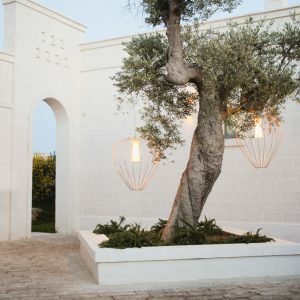 I have had my eye on Masseria San Francesco for months and I can’t express how excited I was to check into this beautiful property in Puglia. 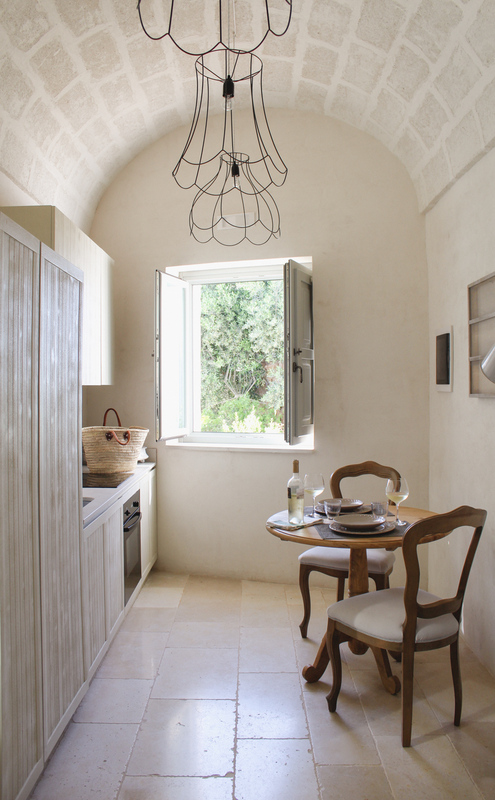 A masseria is a historic farmhouse typical of the region in the very heel of the boot. 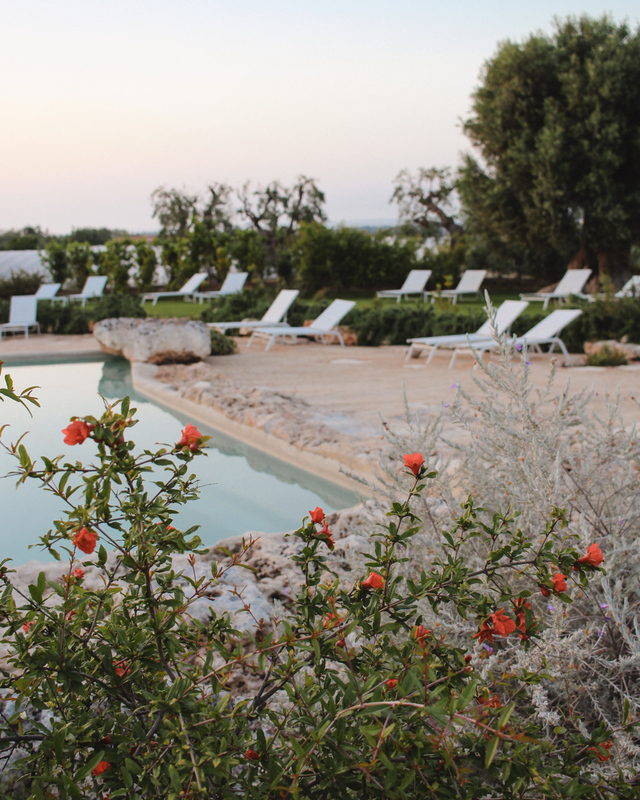 However, Masseria San Francesco is anything but your typical accommodation. I can spend hours searching for a hotel. 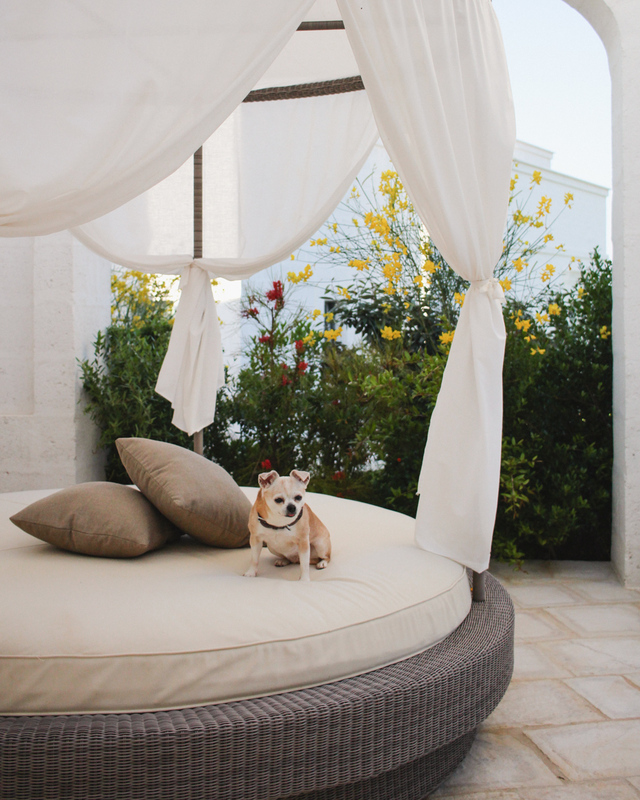 I’d say the #1 thing I look for is bedding (ok, ok… a terrace or nice outdoor area also goes a long way). I will immediately click away when I see those dated floral polyester comforters. You know the ones. 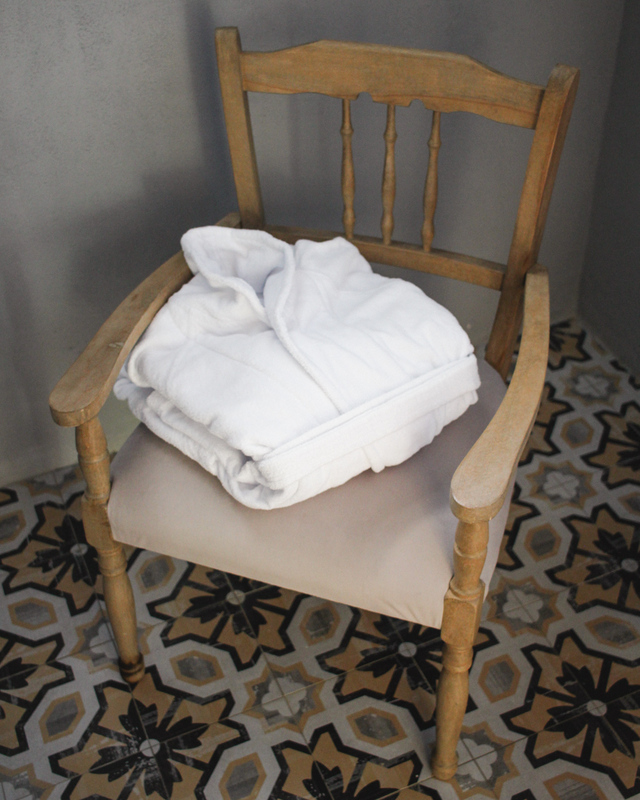 Masseria San Francesco’s bedding not only passed this test with flying colors, I was actually looking forward to falling asleep. 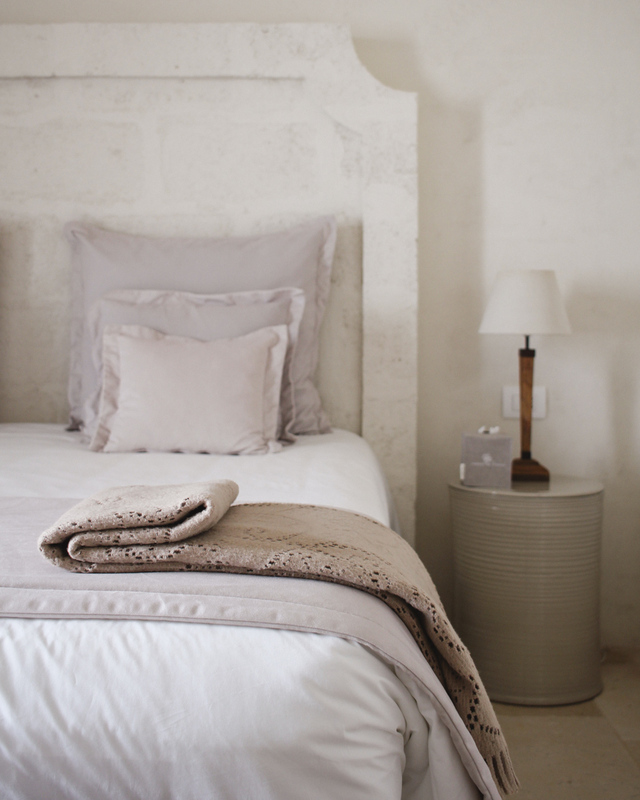 The spacious beds are covered with white luxury textiles and plenty of soft throw pillows. 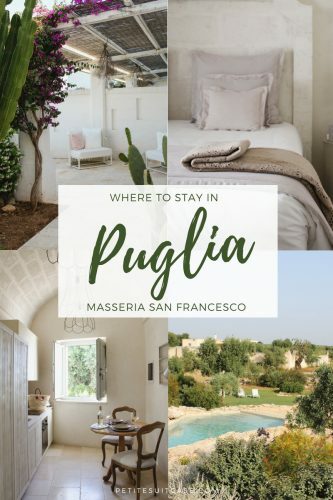 Even though there are structures on the property from the 1400s, the masseria was built less than a decade ago so you’ll still have all the modern amenities. I only stayed for one night, but the kitchen area is equipped with everything you’d need for a longer stay. 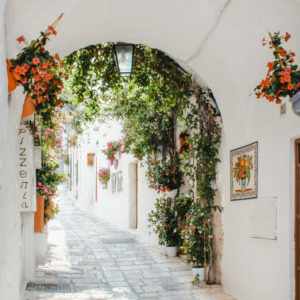 It’s also the ideal location to explore other gems in Puglia like Ostuni, Alberobello and Poliginano al Mare. 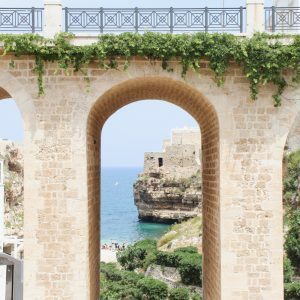 Matera is only about an hour and a half away too (highly recommend going a little out of the way to see that place!). 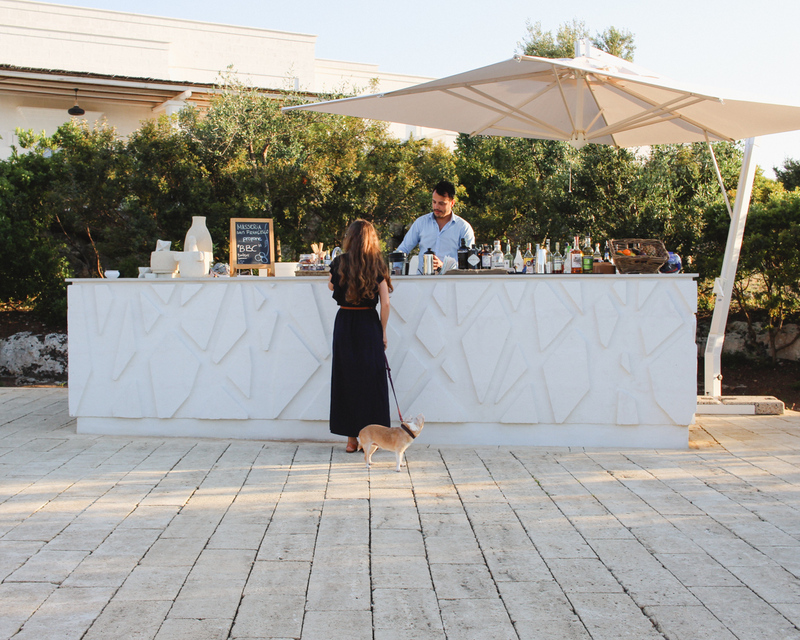 Right as the sun starts to go down the poolside bar is the place to be. Be sure to check out the daily special. My husband (AKA Medium Suitcase) thoroughly enjoyed his blended cocktail of banana, baileys, rum and cream. 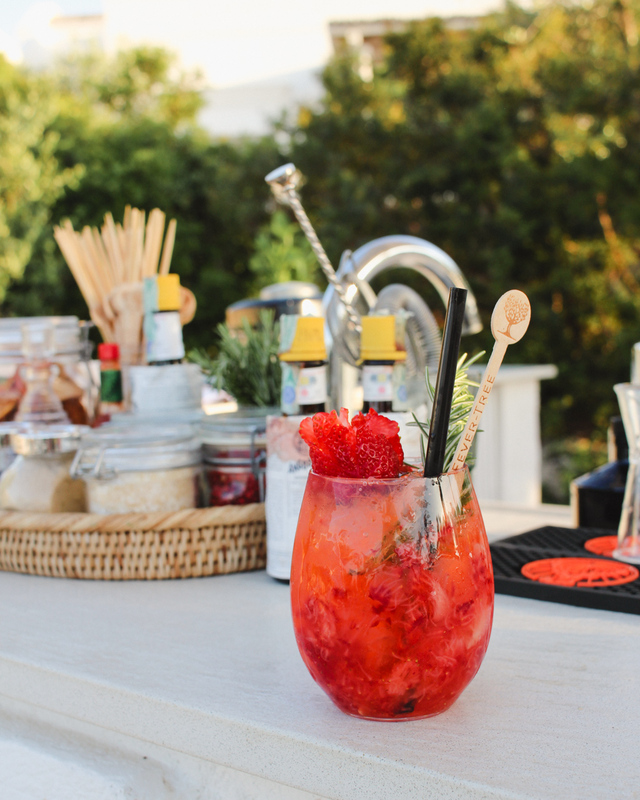 I opted for a strawberry concoction and, of course, you can never go wrong with an Aperol spritz. We were happy to lounge by the pool and have a cocktail (or two). However if you’re more active, they also have a putting green and bikes you can check out to explore the area. 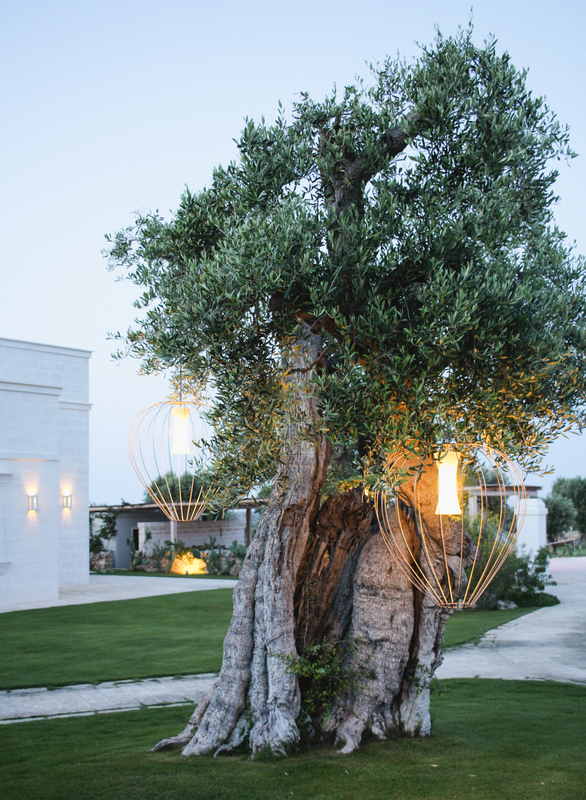 These hanging lights provide just enough light for a midnight stroll after dinner. Be sure to ask reception for their extensive list of restaurant recommendations. We actually saw a hedgehog when we got back from dinner in Savelletri. A wild hedgehog! I don’t know about you, but the only hedgehogs I’ve seen are on Instagram. 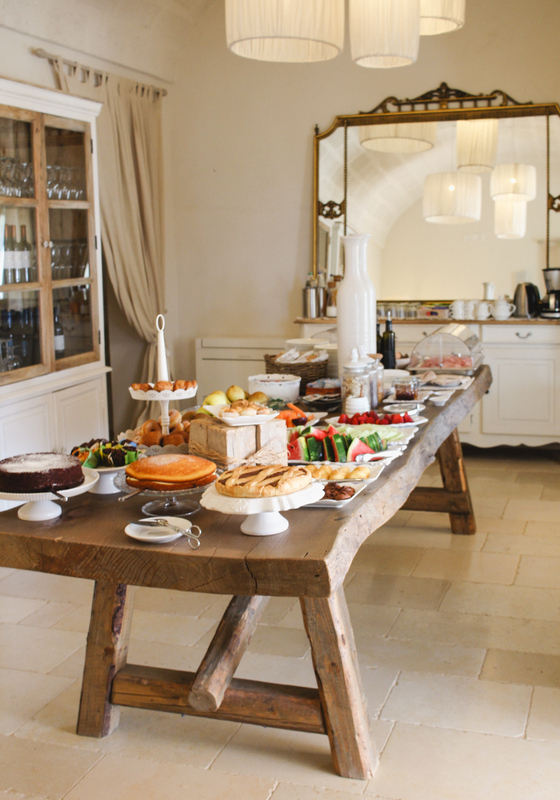 They also serves an abundant breakfast of fresh fruits, cakes, prosciutto and cheese. 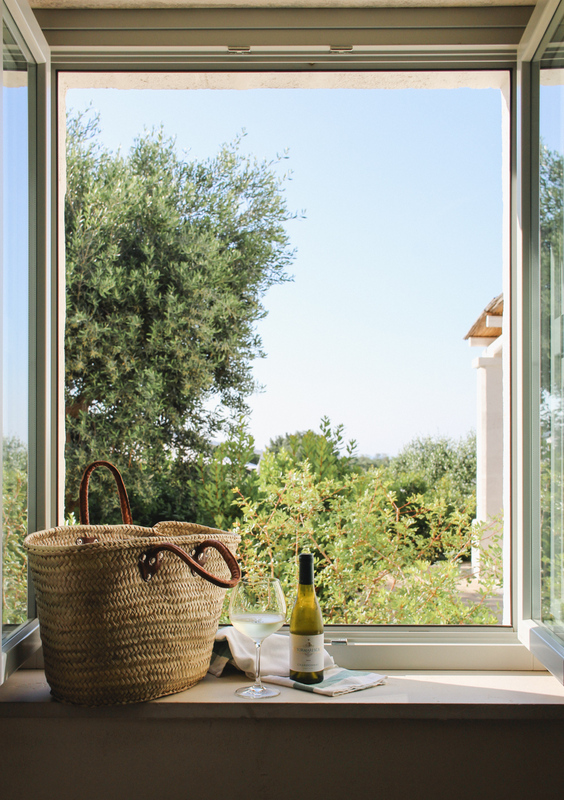 All to be enjoyed in the sunroom. 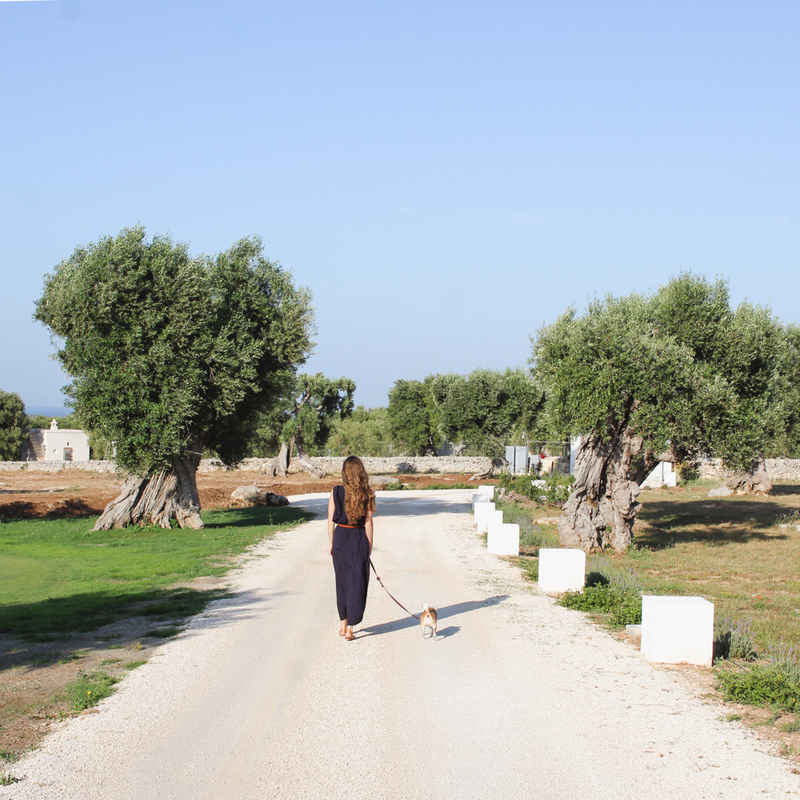 Also if you’re a crazy dog mom like me and travel with your pup, they’re a dog friendly property too. 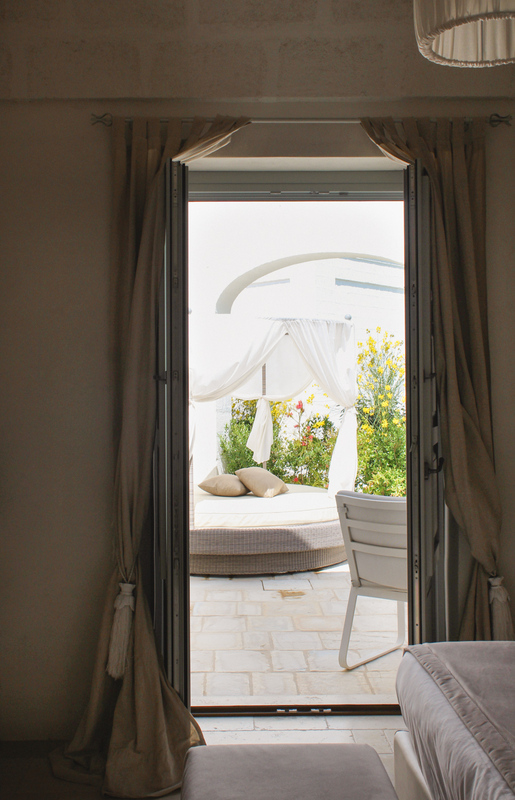 Rooms and suites vary depending on the season. Check rates and availability here. 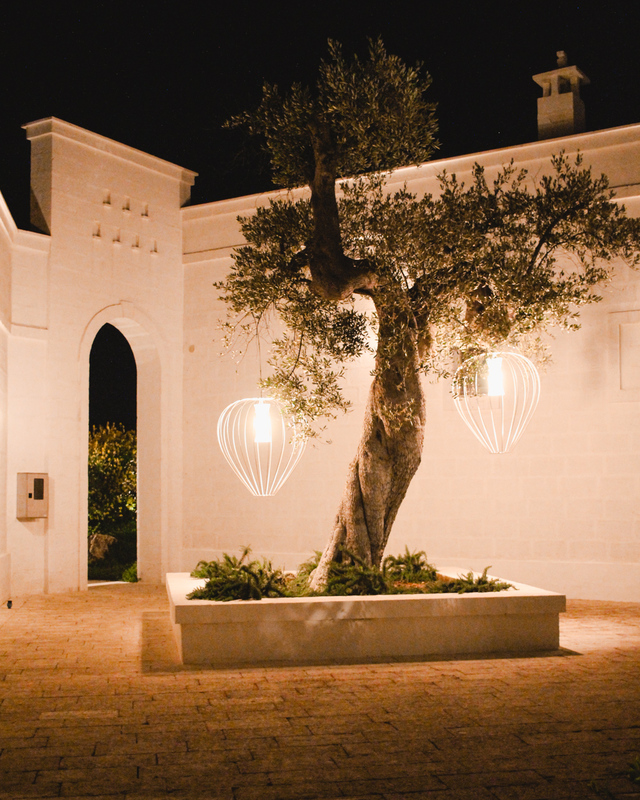 Masseria San Francesco is the perfect place to stay in Puglia and offers something for everyone. 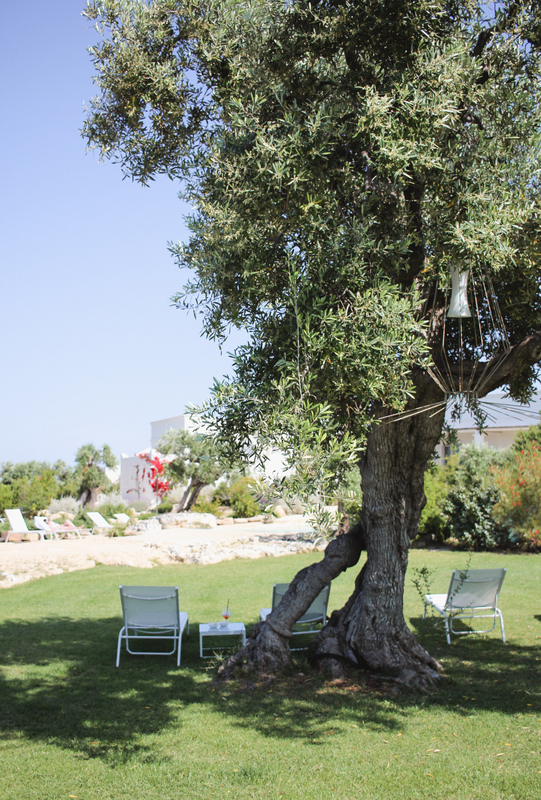 Thank you to Masseria San Francesco for hosting us and making our stay so special! Perfect place! I loved it! It’s a great place to stay! I only just discovered it a few years ago when we moved to Italy. 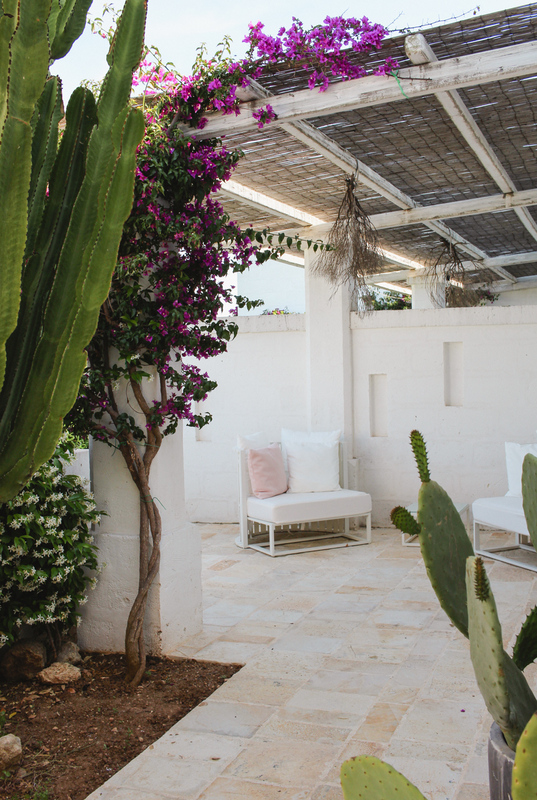 Puglia is such a gem! Why yes, I would like to subscribe to the newsletter!